I love to take scrapbooking classes! I love to watch other peoples creative processes, how they use their tools, how they think about their projects, and how they go from a pile of supplies to a beautiful piece of art and a documented memory. Recently I've taken two classes at Two Peas in a Bucket and I absolutely adored both of them. My dear friend Jen Gallacher taught the Tool School Class. I've never seen anyone that can make the most of their supplies. Jen has so many unique ways of using the tools that most scrapbookers already have on hand. She's a natural teacher and such an amazing person! I make sure to enroll in all her classes! The second class I enrolled in was Art Class by Wilna Furstenburg. This class is worth every penny I paid for it and MORE! Wilna has me mesmerized with every video. I'm amazed at what she can do with embellishments. I don't use a ton of embellishments on my projects so I'm always amazed with those projects that have a ton of embellishments. Wilna's class inspired me to create this project with molding paste. I even created a video showing my process (you can see the video here). The next class I want to take is Scrapbooking from the Soul by Jill Sprott. 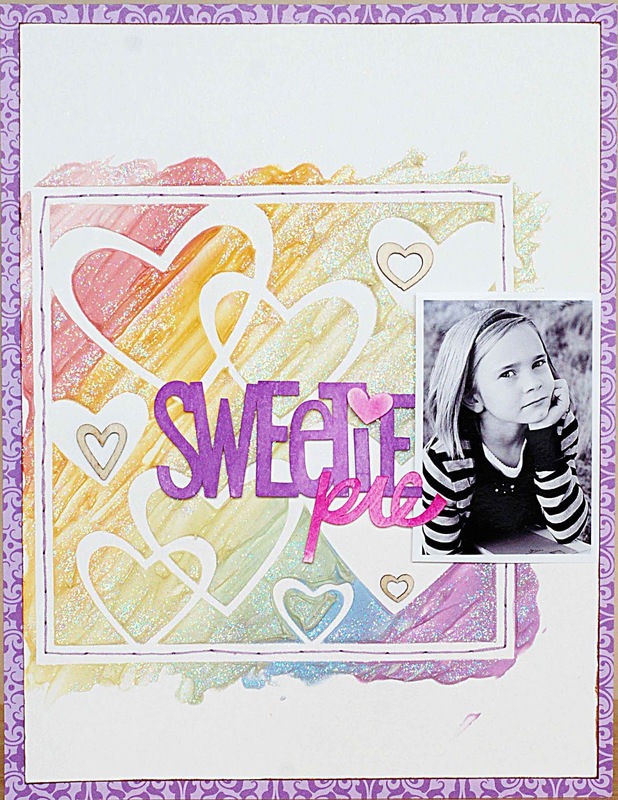 Have you taken any scrapbooking classes recently? What is your all time favorite class? I'd love to hear from you. I'm always looking for a great class. this is STUNNING wonderful job! Wonderful layout! I also took the art class with Wilna!!! I loved it too! Thanks Carol. So glad you enjoyed Wilnas class too. I'm re watching the videos now. I'm in awe of her style and her creative process.